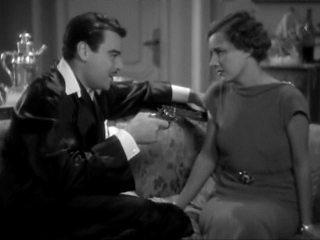 Sarah Cazanove (Irene) has the nerve to deny her husband Tono (Nils Asther) to play the chaperon for him and his mistress. Tono Cazanove - what a meaningful second name - then threatens to shoot her, but before he comes around to that, some guests arrive for cocktails. Instead of murdering her Tono simply leaves his wife letting her to her guests and this utterly embarrassing situation. 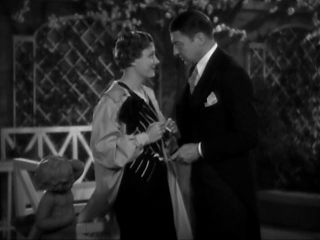 Sarah tries to commit suicide but is stopped by one of the guests - a lawyer named Gordon Evers (Clive Brook) who has his own share of unhappy marriage. He encourages Sarah to come to London with him and to start a new life. We are heading in the direction of the first happy interlude, which shows us Sarah at the opening day of her interior decorating shop and business. Being a happy divorcee Sarah answers to Gordon’s “If I were free …” question with a very romantic “I considered marriage for quite some time now…” End of first happy interlude. first happy interlude - "If I were free..."
Often film wives are not really interested in their husbands, but they don’t want to divorce them either. Katherine Evers (Lorraine McLean) is not an exception to the rule, and refuses Gordon a divorce, especially because under Sarah’s loving influence Gordon started earnestly working on his career again. Though marriage is out of reach at the moment the couple decides to go on with their relationship anyway - we are still in the pre-code era, so that’s allowed. The second happy interlude is a trip to a romantic country spot, which gives Irene the chance to sing, but more problems are already arising at the horizon. 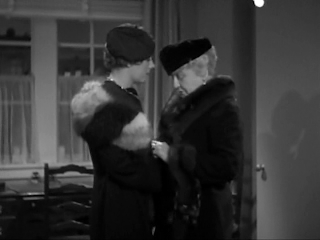 One pops up in the person of Gordon’s friend Hector (Henry Stephenson) claiming that Gordon’s liaison with Sarah interferes with Gordon’s career. 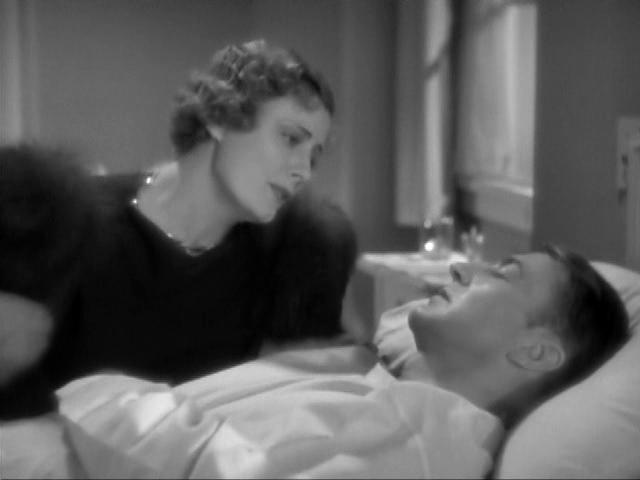 As we know, true love is sacrificial and thus Sarah decides to leave Gordon writing him a farewell letter. As if this wouldn’t be enough Gordon has to face a severe surgery because of an old injury he got in WW1 - with a chance of surviving from a hundred to one…and where is Sarah?! After “The Silver Cord” and “Ann Vickers” this film is quite a decline, and looking at my plot summary it seems I just don’t manage to be serious about it. “If I Were Free” just doesn’t work - it’s not a real romance, it’s not a real weepie, it offers no real challenge of any kind for Miss Dunne - maybe with the exception to have to act a romantic entanglement with such a wooden actor as Clive Brooks who creates his role with facial expressions from A to B. Consequently, his most convincing scene is the one showing him still half anesthetized after the surgery. At least at that moment Irene starts to sing again - she sings two times the lullaby "Schlafe, mein Prinzchen" in German, which is after all a nice tidbit. The fact that director Elliot Nugent offers no interesting angles and that the “if I were free…” love scene is badly out of continuity edited, isn’t helpful either. It’s a mediocre filler of a film and a waste of Irene’s talent. If there is something worthwhile watching it’s the beginning. 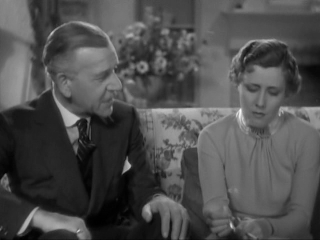 The few scenes Irene has with Nils Asther, because she makes the humiliation of a woman - whose husband adds insult to injury - touchingly perceptible. Leaves the problem that Tono’s thesis that Sarah isn’t attractive at all - even dead you wouldn’t want to be found with her - looking at Miss Dunne isn’t really convincing. What a pity that we don’t get to see his mistress! To end this on a positive note - there are some old, capable acquaintances around like Laura Hope Crews as Gordon’s mother and Henry Stephenson contributing as Gordon’s sidekick. 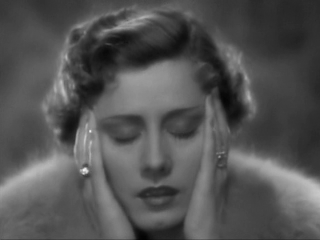 I feel exactly the same way Susanne! the first time I watched it I just didn't like it even with Irene in it and that's not normal!